Abba went from Winning Eurovision in 1974 to being one of the worlds biggest selling acts in history. To date they have sold over 400 million albums, plus over 50 million people have seem Mama Mia the musical and Mama Mia the movie is the most successful Musical Film of all time. What has been strange is that the band’s success has been global yet in their home country of Sweden there has been a somewhat muted response to the band and their success. That is set to all change with the opening of the first permanent Abba Museum in the world in Stockholm. Above is the artist’s impression of what the finished museum will look like. It will also house a Swedish Music Hall Of Fame – including memorabilia from Swedish Acts like Roxette, Ace Of Bass and Swedish House Mafia to name a few. 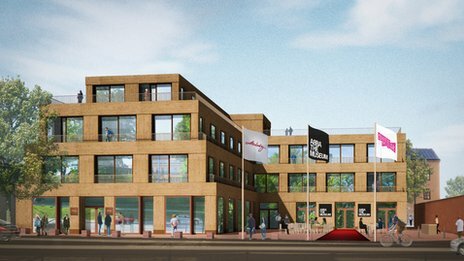 However the Abba Museum will be the main part of the building. Already when you land at Arlanda Airport in Stockholm you see the giant advertisements, banners and videos for the museum that is expected to become Sweden’s biggest tourist attraction and result in an additional 4 million visitors to the city over the next 6 years. 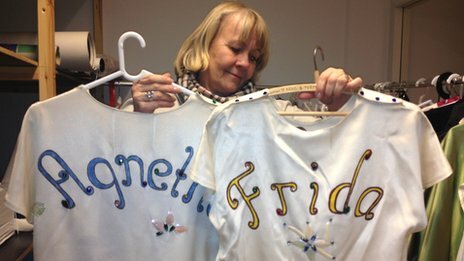 The museum’s curator is none other than Ingmarie Halling who was the band’s stylist for their entire career. She was adamant that she did not want the exhibition to be a sterile experience for the visitor. She has fond memories of travelling with the band and the costumes are not just clothes for her but a reminder of her life and the success of the band. The band is lending their full support to the project as they feel it is the right time for this to take place. So much so that Bjorn Ulvaeus provides daily updates to the 50 plus staff who are working on the project. 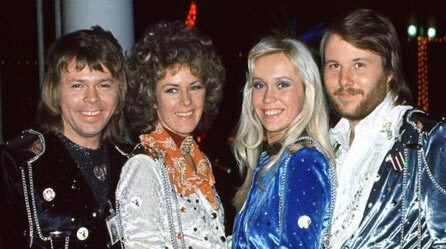 The band have also donated some of their personal memorabilia to the museum plus some of the items will be coming from the ABBA World Exhibition that was on display in Australia and parts of Europe from 2009 to 2011. The band last appeared together in 2008 for the premier of Mama Mia and it is hoped that they may reunite for the official launch of the museum this May – just in time for Eurovision fans who may make the trip from Malmo to Stockholm. 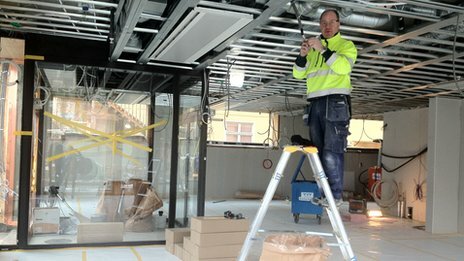 With only a few weeks to go until the museum opens there is still a lot of work to complete but Museum Director Mattias Hansson assures people that all the work will be completed. The museum is on the island of Djurgarden in eastern Stockholm. About time that Eurovision’s most successful act are recognised for what they have achieved. I went to see ABBA World in London and enjoyed it. I assume this will be in the same vein with perhaps a bit more on show.